What do you look for when you’re doing the grocery shopping? 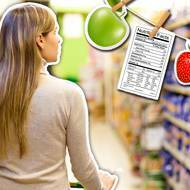 Do you avoid fatty foods, buy gluten free products or simply look for what’s on special? How can you tell what type of bread is best and which yoghurt to choose? 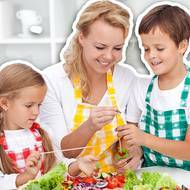 Getting your kids to eat their vegetables can be tough, but here are some ideas to make mealtimes a little less painful - and a lot more nutritious! I remember arriving home from school ravenous as a child. Growing bodies need lots of energy and I was a particularly active young one. I begged Mum to stop at the newsagent for an ice-cream or a handful of lollies to remedy the hunger pangs. 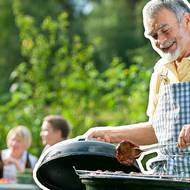 Is barbecued meat a health hazard? Aussies love a good barbie. On any given sunny day, you can find folks all over Australia firing up the Weber, knocking back a cold one as sausages, steak, and kebabs blacken on the grill. In fact, barbecuing is right up there with vegemite and cricket as one of the cornerstones of Australian culture. But does our love of all things char-grilled come at a cost? 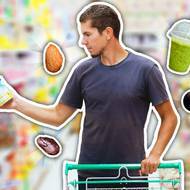 Superfoods: Dietary Dynamos or Marketing Myths? 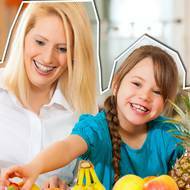 Is there really anything 'super' about these foods? Or is it all marketing hype?